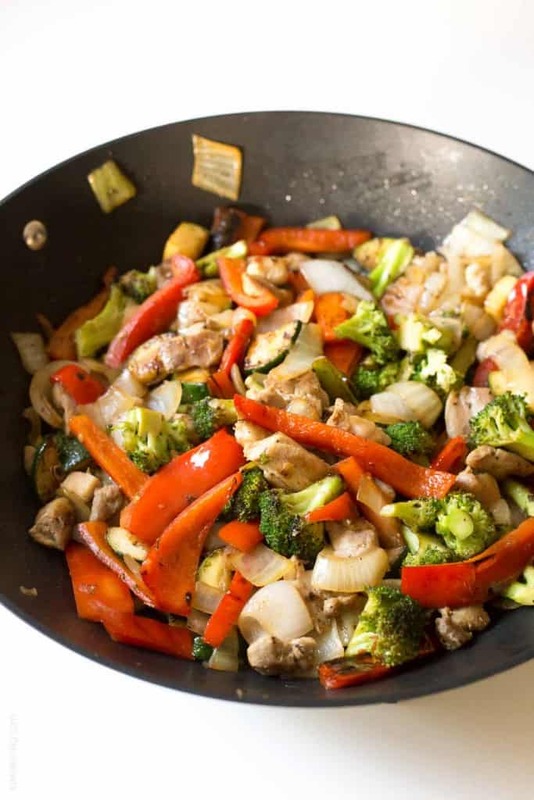 Healthy and delicious broccoli and bell pepper chicken stir fry, made with the BEST stir fry sauce. After every wedding we film, Shawn has the stressful job of organizing and packing up all of our gear. And we have a lot of gear. Tripods, monopods, glidecam, sliders, all the microphones and audio recording stuff, batteries, walkie talkies, 4 camera bodies, soooo many lenses. It’s nuts. We have had very good luck, and have only lost 1 battery at all the weddings we’ve filmed. But our luck ran out on Thursday. We couldn’t find 1 lens cap. Luckily it was to our cheapest lens we have, (which is also oddly my favorite and the one I use for all of my food pictures!). I had been using that lens, and I searched the pocket of my pants over and over and couldn’t find it. So then I started wandering around the room looking on the floor and every table for a small black lens cap that is barely bigger than an oreo cookie. No luck finding it anywhere. It wasn’t such a bad thing to lose, I was sure we could replace it for cheap. So we gave up and headed home. After we got home, I changed in to my pajamas to get ready for bed. As I was changing, I heard a little plastic *ping* hit the side of the bed. I looked down, and it was the lens cap! I was confused at first, until I looked down and saw a perfect circle indentation on my chest. I had shoved the lens cap inside my bra, ha! It turned out to be a very good hiding spot. Good enough to even keep it hidden from me. Do you all love stir fries as much as I do? Such a great way to use up fresh vegetables that are taking up space in your fridge at the end of the week. I swear I make a stir fry almost once a week. Especially since perfecting the BEST stir fry sauce. That recipe has over 26,000 pins on Pinterest! And for good reason, it really is the best homemade stir fry sauce. Has great flavors of ginger, sauce sauce, sesame seed oil, yum! 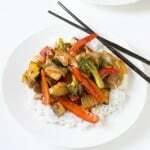 Lately I’ve been loving this broccoli and bell pepper chicken stir fry. I threw in some zucchini and onion too since I had some that needed to be used up. But feel free to adjust and use whatever vegetables you have on hand. In a mason jar or medium size bowl, combine all the stir fry sauce ingredients and stir to combine. Set aside. Cook the rice according to manufacturers instructions. Heat a wok, or your largest skillet, over medium high heat. Add 1 tablespoon of olive oil, and cook the chicken about 5-7 minutes, until cooked thru. Transfer to a medium size bowl. I find the stir fries turn out best if you cook each vegetable separately so it can get crisp tender. If you cook them all at once they tend to steam and get soggy. Cook each vegetable in the wok for about 5 minutes until crisp tender, then transfer to the same medium size bowl. Add in olive oil as needed. Once all the vegetables have been cooked, return all the cooked vegetables and chicken back to the wok. Pour in all of the stir fry sauce, reduce heat to medium, and cook for about 3-5 more minutes until the sauce has thickened and all the vegetables are heated thru. I’m such a sucker for good stir frys! This looks so delicious, Natalie! I’m actually craving this for breakfast right about now. That sauce sounds so flavorful! Can’t wait to try this out! 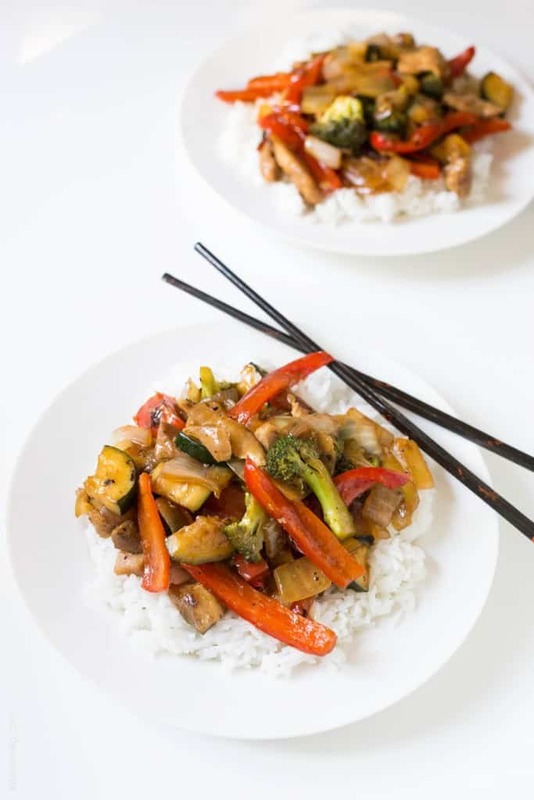 I love a good stir-fry – you’re right, it’s a great way to use up leftover veggies at the end of the week! I’m definitely going to give your stir-fry sauce a try. So funny that the lens cap ended up being in your bra! You really make a mean dinner! I’m sure the whole family would love this dish! That sauce looks phenomenal! 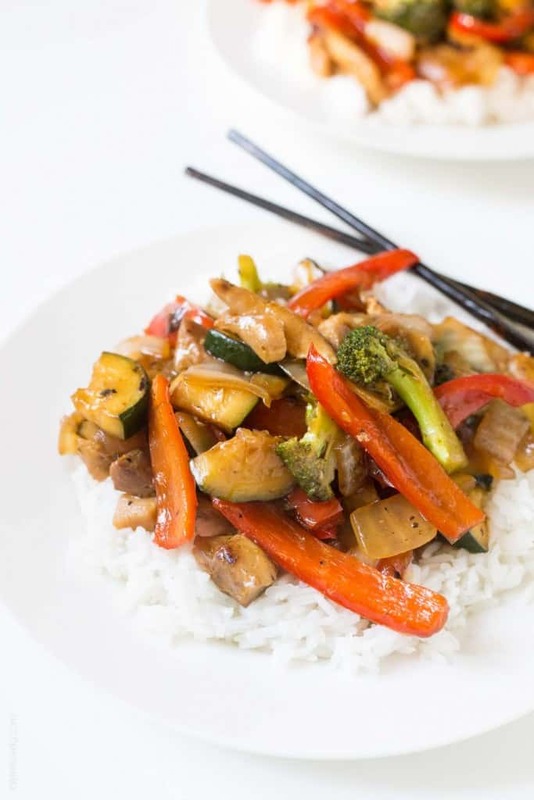 Love stir fry’s – they are such an easy go to weeknight meal. Can’t wait to make this one. Haha I am always losing my lens cap too and think your hiding spot is awesome :) Love this stir-fry! 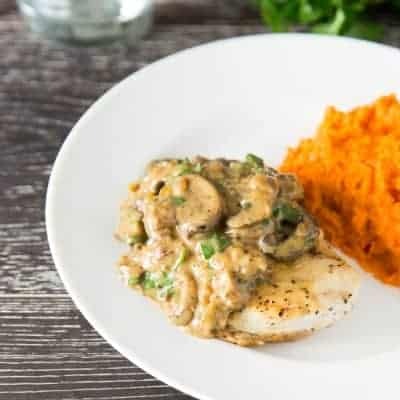 It looks amazing and the perfect weeknight meal! Yum yum yum! 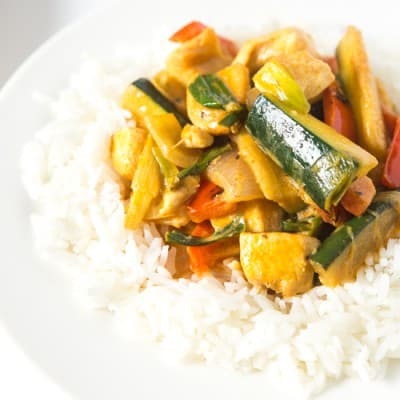 What a delicious, fresh and flavoursome stir fry! You’ve put all of my favourite ingredients in here – I looove all of the vegetables you used. The sauce sounds amazing too with the ginger and garlic! Mmmm. I will definitely have to make this! What good luck you finding that lid! And I also had no idea you filmed weddings! I love weddings, they are just so fun! Such a fan of stir frys and this looks awesome! Can’t wait to give it a try! I’m so glad you found that lens cap!!! that’s hilarious! and at weddings, watch your stuff!!! my friend, who was the photographer at my other friend’s wedding, set his gear down for a few minutes and someone stole it!!! it was crazy! who does that?! anyway, if you are in a secluded place, with one wedding guests you’re fine but it was out in the open with other people walking by . . crazy!!! I love this stir fry!!! stir fry is my go-to!! love this! I love stir fry dishes! This looks delicious, and it made me laugh reading about your runaway lens cap! Oh man, how hilarious that you forgot the lens cap there and didn’t even notice!! HAHA! I love stir-fries too….. they’ll be really perfect when your zucchinis and squashes and peppers start coming ripe! That is hilarious Natalie. I used to always stuff things in my bra too….except it was in 8th grade and it wasn’t a lens cap…it was half a box of tissues!!!! This stir fry looks amazing! Pinned! Lol! One time when I was younger, I had a string break on my violin, so I took the string off and just pushed the peg back in place. Well, next think I know, I look and the peg is gone! Ugh! So sad, because it can be hard to match a wood peg exactly. Well, when I was getting ready for bed, I heard something fall to the floor…same thing – it had somehow fallen into my bra. So crazy! I was so happy I found it though. This stir fry looks wonderful! Haha, I don’t think I’ve hidden anything in my bra for about 10 years! Lol. 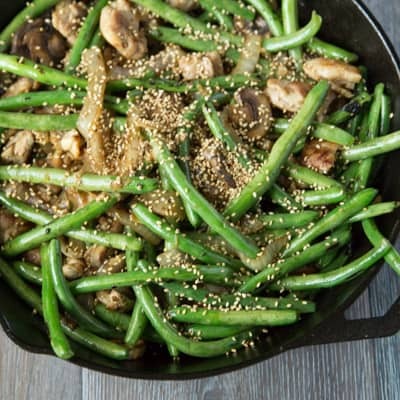 Love this stir fry — the perfect healthy dinner! Haahaa… it must have driven you two crazy not knowing.. and then just walking away, perplexed! Then, ping, there it was! LOL!! Good thing it showed up! Hahhaa! That FRY sauce! I’ve joined the other 26,000 pinners on that one! Love it and am looking forward to it! I love stir frys because it helps me clean out the fridge! They’re kinda like curries in that regard. Delicious Natalie! And always an inspiration! Thank you, enjoy your weekend! Your story about the missing lens cap totally had me laughing, Natalie! Those things are just too easy to lose track of, aren’t they? :) I’m going to try this stir-fry soon! The sauce sounds perfect! LOVEEEE quick and easy stir-fries like this :) YUM! I’m excited to test out this recipe! I make stir-fry often but, I’m sad to admin that I usually opt for a store bought sauce. I like the idea of making my own because I’ll know exactly what is going in it and I’m sure it will taste so much better! Thanks for sharing this recipe! Seems like it will do the trick :) Any thoughts on how long the sauce will last if I make it ahead of time or if I double the recipe and have extra leftover? You are going to love it Alison! 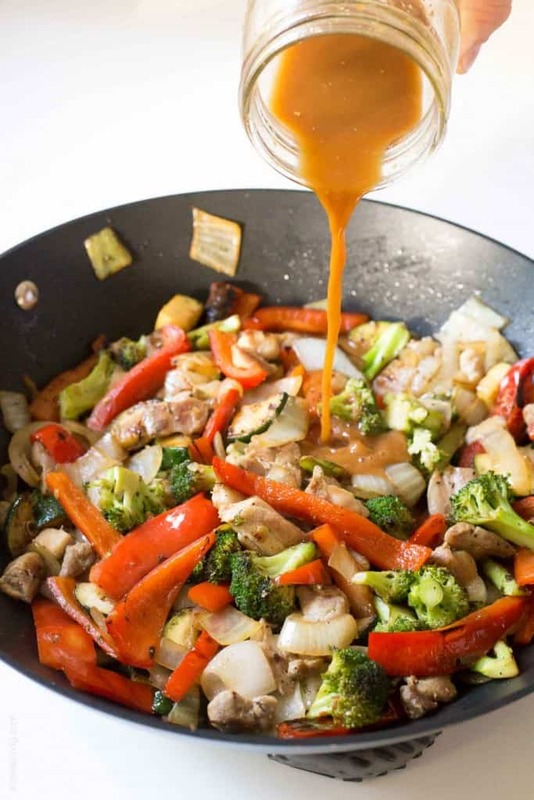 Just wait until you try this homemade stir fry sauce. You’ll never want to buy store bought again. And it’s so fast to make! I’ve made this sauce a week in advance and it’s been just fine! It may last even longer. But my husband is very weird about food being stored too long, haha! So I’ve never gone longer than than. Just give it a good shake before using it. Hope you love it when you try it! Aren’t stir fries just the best? So quick and easy. Broccoli is my favorite veggie to add into a stir fry, so I am definitely into this! And that sauce…yum. What a great hiding spot hahaha, it is sad when you loose something even if it was cheap.. I do not like loosing stuff. Great recipe. I woke up this morning with the thought of cooking stir fry tonight. Thank you, you just made my dinner plans easier! :) I can’t wait to make this tonight. I am so happy to hear that Chandra! Hope you loved it! I am stuck in the snow but I had most of these ingredients on hand. I had all of the ingredients for the sauce but substituted some of the veggies. This dinner was AMAZING!!! Better than take out. Thanks for the delicious recipe. Yea! That makes me so happy Tanya! And especially since you didn’t have to make a trip to the store. I bet going out in the snow was pretty much impossible this weekend. Now you have me craving this dinner again. I’m going to make it again this week! Big hugs to you! Wow!!!! This dish is amazingly easy and so good. We don’t have any Asian places by our house and we always have a taste for it. Thanks so much for posting this. My new favorite recipe. So glad you loved it TC! I would definitely have a hard time not having any asian restaurants near by. It’s my go to for ordering take out! But if I have the energy, I can cook this and it’s just as delicious. Thanks for letting me know you liked my recipe! You made my day! Lens caps *always* go into my left back jeans pocket. When you have the same habit for 40 years, there is never any doubt where it is. I need to pick up that habit! Would take all the stress out of it. Would one be able to water bath or pressure can this sauce? I had a large qty of bell peppers left over from a party, and a pkg of diced chic breasts in the freezer I wanted to use. Google that combo and this site comes up. The recipe is fantastic, and it made me try some new stir fry techniques. This was perfect, but I did add some dried red pepper flakes because that is what we like. Changed nothing else, and this is in my cookbook permanently! Just made the sauce and it smells sooo good! similar to one I used to make. Just waiting for my main squeeze to get home with the beef and pick the broccoli and snap peas from the garden! 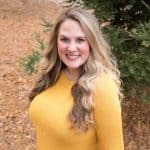 love your blog so far! thanks! Thank you so much for the recipe! My dad and I made it for dinner tonight and loved it! I’m so happy to hear that! Thanks for letting me know Claire! Big hugs!